In the summer time there is no better way to get around than by bike. The streets are wide and calm and most main routes have dedicated cycle lanes. Cyclists are well behaved and so are car drivers and going through intersections cyclists often have right of way over turning traffic. 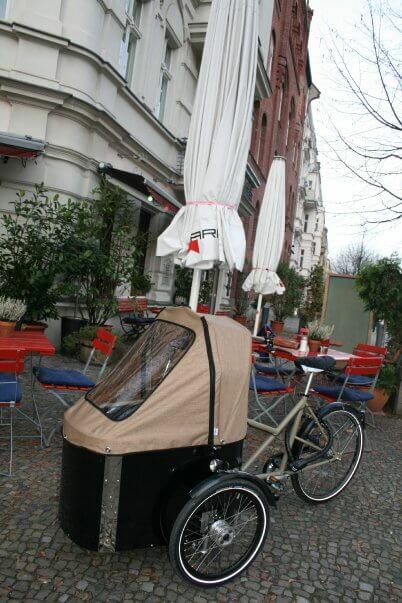 All this makes Berlin one of the safest cities to cycle in. It is also generally quite flat so you can cross large parts of the city quickly by bicycle. If you’re in Berlin for a couple of days you might just want to try Deutsche Bahn’s Call-a-Bike or one of the many bike rental stores all over the city. If you’re in Berlin for a couple of weeks you could even consider buying a used bike for about €100 from one of the many used-bike shops that are also in the city.